I’ve been binging, this time reading, including, the Popular Culture and Philosophy series from Open Court. Pop culture and philosophy, for me, that’s book heroin. I started with Homeland and Philosophy: For Your Minds Only, edited by Robert Arp. On some level I like this show, http://yadadarcyyada.com/2014/04/03/homeland/ I keep watching it; one thing about it really stuck with me, Brody (Damian Lewis) is compared to a cockroach, surviving no matter what, but bringing misery to others. It describes so many people, oh my, does it describe the whole human race, crawling across the planet’s face? Then I finally gave in, read some of Sheryl Sandberg (COO of Facebook)and her Lean In self-help stuff. Same old, same old, but still good advice and catchy. It’s certainly what we want to hear, that we can succeed by embracing challenge and risk, but is it realistic? We want to believe women are moving ahead, but are they? Dear Readers, how are you today? Happy, I hope. Lately I’ve been in a shall we say, reflective mood, thinking of the highs and lows, cons and pros of being human. I know, like so many things, it’s complicated. I never understand why people go to the zoo when they can watch people instead, such as, on public transit. In one ride I saw: a guy with a bag full of copper wires sucking down a giant blue slurpee who collected paper transfers from the bus floor, tore two apart, licked them, put them together then showed ‘it’ to the driver; another guy was reading a scientific magazine, upside down; a photoshopped woman talking loudly and graphically about her knotty/naughty love life via cellphone; an older gentleman wearing PJs, cool, I did that too, in high school, the top one day, bottoms another, but as I get older I just think, sure, that looks comfy, you could get off the bus and right into bed. Who needs The Oscars? Hop on a bus, be awarded. Really, we came up with all kinds of stuff, like: flying, fire, medicine, books, family, duct tape, technology, chocolate, the internet, music, blogging, swimming inside in the winter, batteries, politicians, money, cake, saunas, friendships, trains, Johnny Depp as a pirate, pool noodle under fitted sheet so a child doesn’t roll out of bed (wish I’d known this when my son was young), driving, driving with dogs on our laps, wait, someone needs to explain this one to me, does the dog think he’s driving, does he even comprehend what driving is, I doubt he passed a driving test, I mean, how did he fill out all the forms, reach the pedals with his paws, not bite the instructor? We ask questions such as, but not limited to: “How bad can it be?” (very bad); “Could it get any worse?” (yes); “How stupid can you be?” (have you heard some politicians?). We live on a planet where the earth shakes, volcanoes spew lava, mountains of snow grow, and storms make us remember there’s no place like home…and then invite tourists, cause it’s that awesome. 5. We fall in love and out of love. For more, for other worlds and explore them through books, movies, TV…finally saw Star Wars The Force Awakens aka A-New-Hope-revisited when I took my son to a movie marathon for his birthday. It was great, but I have to wonder, what is it with people dropping children off on desert planets? Do they think it’s desert daycare? Do they think the children might go all Home Alone on the scum of these wretched hives of villainy? At what point should we just admit they’re bad parents? 7. We all want to be heroes or funny anti-heroes. Yeah, I saw Deadpool and laughed so hard my sides hurt. I’m having a bit of a Ryan Reynolds week (how often can you say that? ), saw Woman In Gold too, how does Helen Mirren do it? But we don’t have to wear a cape, or a mask, have mutant powers, or fancy gadgets…just be good to one another. But if you get a chance to be be Batman and drive the Batmobile, do that too. Kindness is true heroics. The Cons? Maybe another time, or…all of the above? Anything you want to add? 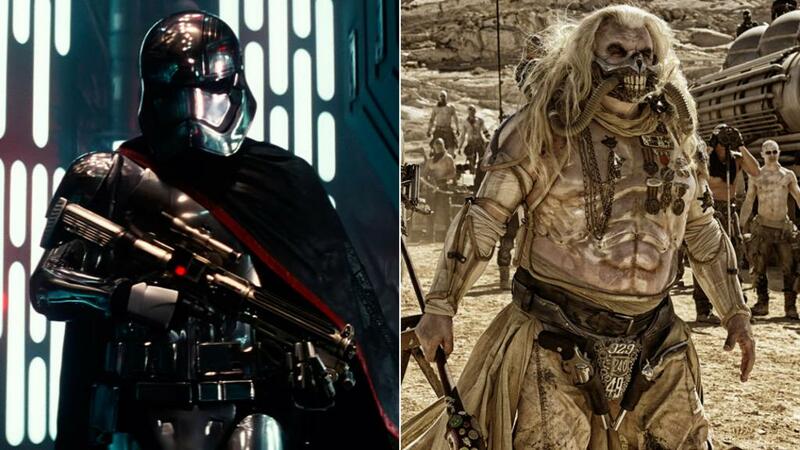 #AceMediaNews – March.20: Star Wars beats Mad Max at Empire awards Star Wars: The Force Awakens trumps Mad Max: Fury Road at this year’s Empire Awards, winning five awards to the latter’s four. The Force Awakens was named best sci-fi/fantasy and was also honoured for its visual effects, director JJ Abrams and stars John Boyega and Daisy Ridley. Fury Road was recognised for its make-up, costumes, soundtrack and production design at the central London event. But neither title took home the best film award, which went to The Revenant. Matt Damon was on hand to accept his best actor award for The Martian, while Sweden’s Alicia Vikander won best actress for The Danish Girl. Spectre, Spy and The Hallow were named best thriller, comedy and horror respectively at a ceremony hosted by the writer and comedian David Walliams. 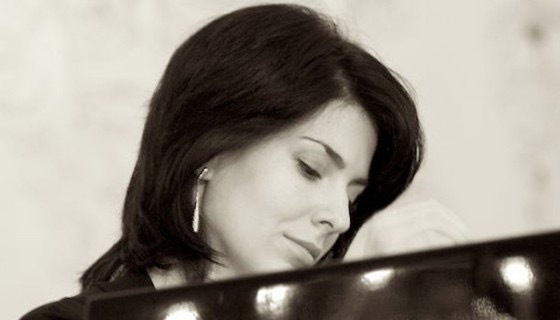 Pianist Magda Amara is scheduled to perform March 28 at the TU Berlin Campus in El Gouna, accompanied by the Cairo Symphony Orchestra. The Moscow-born musician will play a selection of classical music by composers W. A. Mozart, Rachmaninov and R Shumann. The event, titled “A Romantic Affair,” is co-sponsored by Orascom Hotels and Development. Seeing is believing, or is it believing is seeing? Read, share, like, comment. And blog engagement groups/boards are rampant on Facebook and Pinterest. Twitter is overflowing with hashtag days (Suzie https://suzie81speaks.com/ gets us trending every Sunday with #SundayBlogShare – the lovely ladies at http://honeyquill.com/ give us #LinkYourLife – there’s also #MondayBlogs #TuesdayShares#wwwblogs #BeWoW #bluskyfriday #ArchiveDay #WeekendBlogShare). FEATURED: Who Loves Ya Baby? My strange week began with me frenetically organizing and cleaning my house. At first, I thought it was simply having finally read Marie Kondo’s book, the life-changing magic of tidying up: the Japanese art of decluttering and tidying. Really impressive, commonsense. Now my house looks like a poor woman’s Martha Stewart, with fewer prison ponchos (it’s a good thing). Then came the gut punch, the calendar explained my sudden need to keep busy – a year ago my 30 year friendship stopped, just as my best friend’s heart had stopped http://yadadarcyyada.com/2015/02/06/goodbye-dearest-friend/ I wanted to do anything but think about my losses, all of them, before and after this one. I wanted to drown my sorrows in the bottom of a neatly folded and lined-up sock drawer. To gamble I could keep the traveling elastic bands and pens all in one place, just one more time. Even after everything was organized, sorted, recycled, and donated, my feelings of pain, loss, and fear still cluttered my house, heart, and mind. So I purged some of those feelings blocking me from respecting joy, hope, and love. I folded my memories into my life; if I keep hanging them, they’ll take up too much space in my emotional closet. We’re told we need to be smart, work smart, have smart things, but where is smart really getting us? For example, if credit cards are so smart, why can’t they pay off their outstanding balances, huh? If TVs are so smart, why do we have to spend so much time looking for something good to watch? Maybe we need smart pets that feed, groom, and even walk themselves. Why stop there? Smart coffee machines, ha, amateurs, how about smart coffee that changes itself from espresso to latte to whatever passes as coffee, depending on your mood. Someday your smart car will hold you in contempt without a valid high IQ score. Smart wine that critiques itself so you can sound like a wine connoisseur, although then everyone will sound the same, so it will be just the wine talking. Smart couches that tell us the best spot to park our caboose. War, depression, corruption, terrorism, anxiety, climate change, poverty, prejudice, ignorance, disease, political games, scams, abuse, addiction, melodrama, not to mention simultaneous epidemics of starvation and obesity – we don’t need a zombie apocalypse, we’re doing just fine on our own. We self-scan, aka us working for a store for free, while putting others out of work (and already over-paying), all the while supporting companies that destroy the environment, while using what amounts to slave labour. Really? And our complaints are many: my laptop is too heavy, there’s too much food in my house, my smartphone isn’t the latest model, my smartphone doesn’t have a long enough battery life, there’s too many movies/TV shows to stream/watch. I clearly have the wrong definition of ‘smart’. So I will try to be smarter. I will thank my body for it’s hard work, especially my heart which has taken a lickin’ and keeps on tickin’. I will commune with my mind, who has respectfully stayed with me through thick and thin. Everything in its place and a place for everything…as long as it sparks joy. Happy Valentine’s Day…Who loves ya, baby?